"Kentucky Crafted, The Market": Kentucy Expo Center, Louisville, KY. March 3-5, 2018. 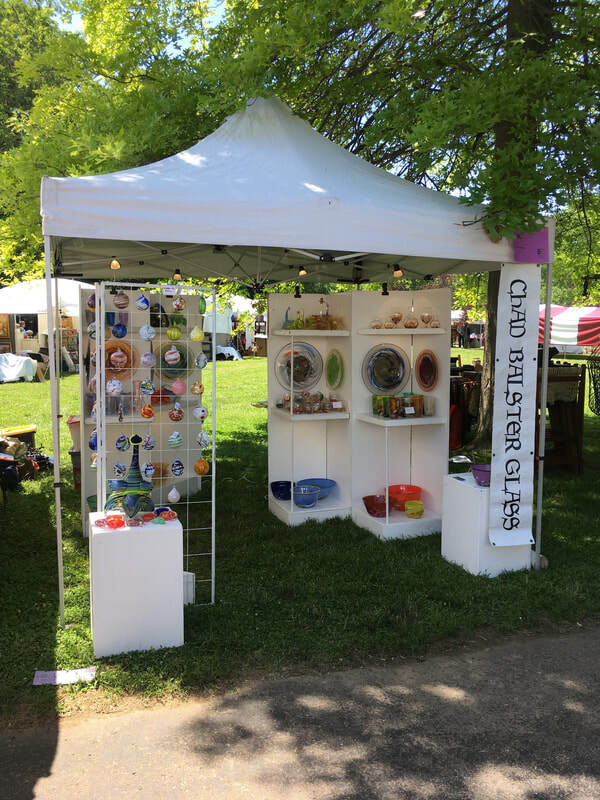 "Cherokee Triangle Art Fair": Cherokee Triangle, Louisville, KY. April 28-29, 2018. "Broadripple Art Fair": Indianapolis, IN. May 19-20, 2018. "Summerfair Cincinnati": Coney Island, Cincinnati, OH. June 1-3, 2018​. "Loring Park Art Festival": Loring Park, Minneapolis, MN. July 28-29, 2018. "Morning Glory Fine Craft Fair": Milwaukee, WI. August 11-12, 2018. "Art in Speed Park": Sellersburg, IN. August 25-26, 2018. "Madison Chautauqua": Madison, IN. September 29-30, 2018. "St James Court Art Show": Old Louisville, Louisville, KY. October 5-7.